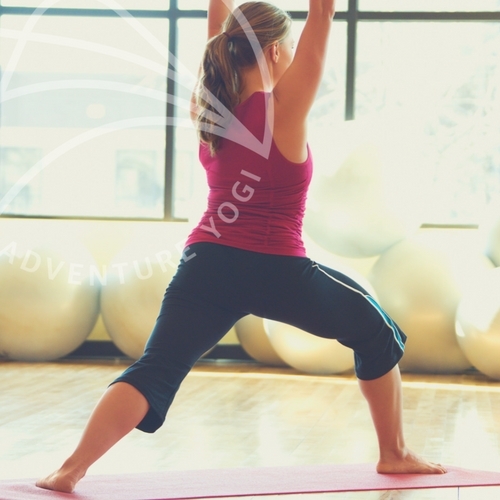 We at AdventureYogi know the importance of taking some time for yourself during this busy time. 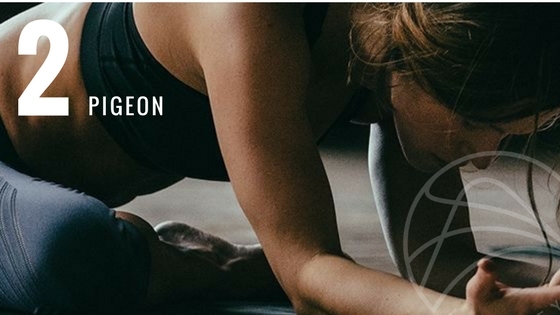 Here, the North London Yogi, Rebecca Ferdinando recommends 5 poses to keep grounded this Christmas. 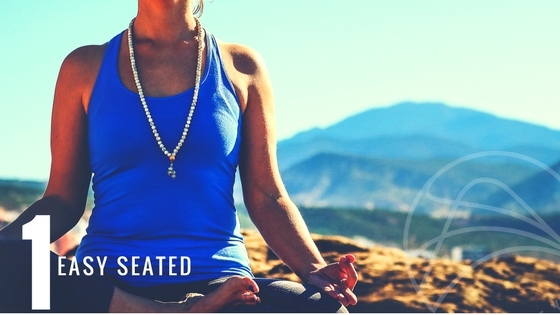 Ideally, you are crossed legged (full lotus if you’re an advanced yogi) with a straight back: (if it doesn’t feel right crossed legged then either sit in heels or take your legs out in front). Your eyes and mouth should be closed, breathe in and out of the nose, constricting the back of the throat, so you create a ‘sound’ breath (otherwise known as ujaii breath). Take at least ten deep breaths like this and begin to connect to the earth beneath you, you should feel relaxed yet present. Bend your right knee and angle your shin, so it’s facing forward, your left leg is extended behind you. Wiggle your hips around, so you feel an opening and begin to allow your pelvis to connect to the earth. You will ﬁnd you feel fully supported by the universe. Take a big deep breath in (through the nose, Ujaii breath as before) and shine the heart. If you feel comfortable sitting upright, you can stay there, but for extra grounding in this holiday season, melt your arms forward and allow your heart to reach forward to the ground. Feel free to explore the posture by taking the body from side to side or take the posture to a more advanced level by raising the right leg to more of a right angle. Repeat on both sides, ten breaths each. This posture is great for exploring your balance and restoring stability to your body and wellbeing. We begin this posture in ‘tadasana’ which is a simple standing posture that requires even balance between each foot/leg and side of the body. Imagine your toes are the beginnings of tree roots. If you lift your toes up and then set them back down, you will begin to feel more rooted immediately. When you are ready to pick up the left foot, place it on the ankle (beginner) calf (intermediate) or inner thigh (advanced). Bring the hands either into the heart centre palms together to raise the palms above the head. Look forwards along the line of your nose and gaze gently. Take ten breaths here (Ujaii) and then repeat on the other leg. This move is excellent for exploring weight distribution throughout the body. 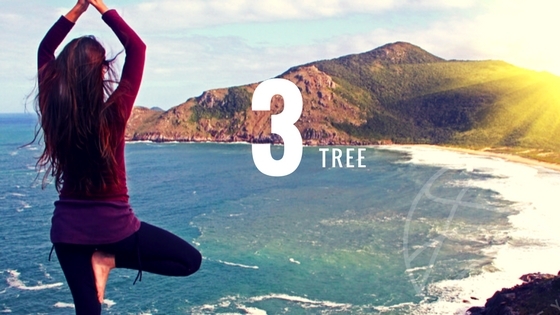 It’s one of the few postures in Yoga that requires both hands and both feet to feel grounded into the mat. Start on all fours and take a couple of deep breaths here, when you feel ready to lift the hips up towards the sky, and straighten the legs. Pedal through the legs and enjoy shifting your weight from side to side, when you’re ready to begin to ﬁnd stillness in the posture and take ten breaths. If you’re not used to this pose, you may need to rest your wrists after ﬁve breaths and then repeat. Not only does this posture ground you mentally and physically but it gives you the extra strength you may need to get through a challenging family get together with the in-laws or a stressful last min shopping trip on an overused credit card. From Tadasana (standing pose) at the top of your mat, step your left foot back a few feet and point your toes to face the long side of your mat. Take a deep breath in and as you exhale Bend into your right knee and raise your arms, so they are inline with your shoulders. Your hips are facing the same direction as your back foot, but your eyes are facing forward along the line of your right ring ﬁnger. Bring your awareness back to the breath as you sink lower into the posture and feel the connection to the earth. 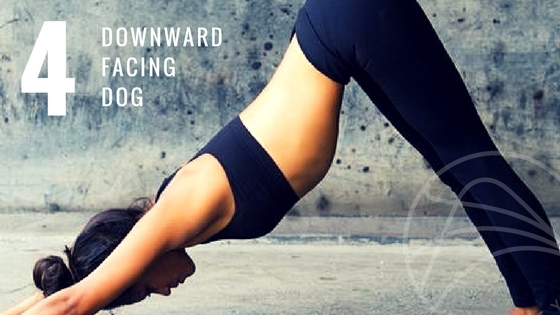 Concentrate on your out breathing, as your hips dip lower and you aim to bend your front knee. Make sure you can still see your front toes (if you can’t see them then your alignment may be incorrect, and you may need to begin the pose again) Take ten deep breaths with a soft gaze and strong legs and arms. Repeat the same posture on the other leg. 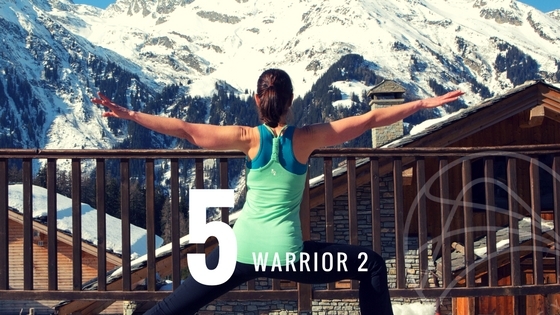 You should feel like a real warrior in this position. For more ideas on how to bring this calm into the New Year, check out our Mindful New Years Resolutions!